This week we have been celebrating National Poetry Day. 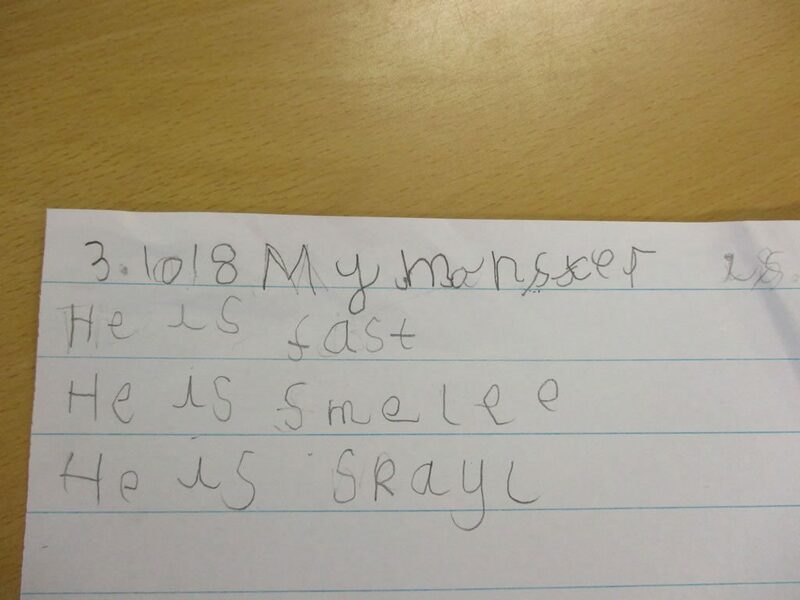 We have been learning about adjectives in English. 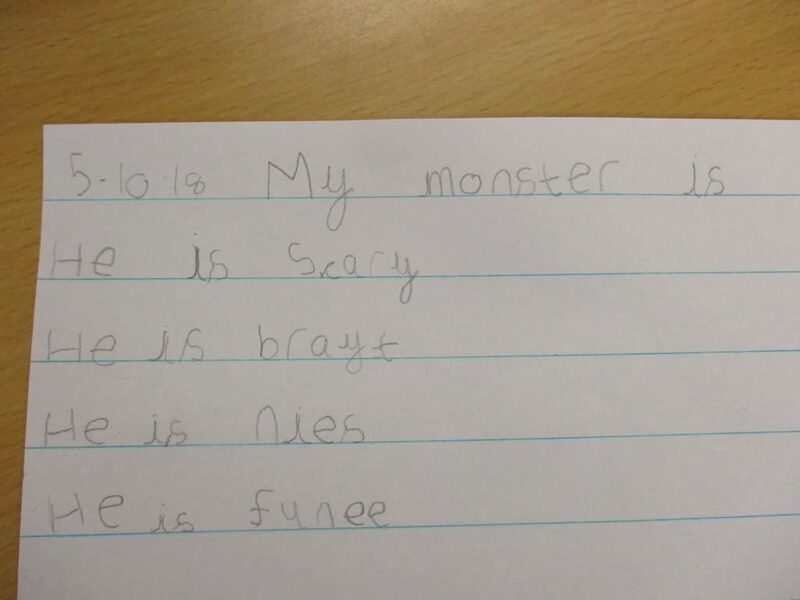 The children had a great time writing monster poems which included some exciting adjectives. We have been reading the story 'The boy who cried wolf' in week 6. We created a wolf dance but be careful the photos are really scary! This week we went on an exciting Autumn walk to look for signs of Autumn. 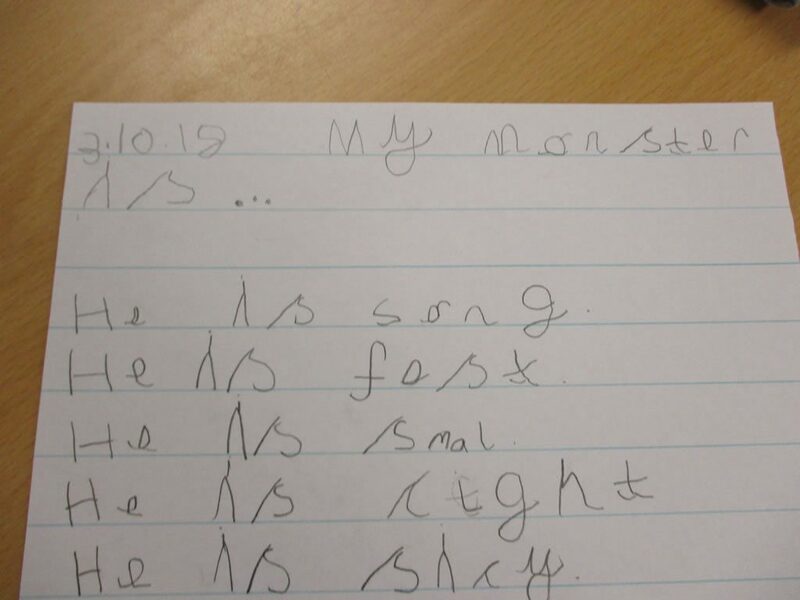 We then wrote some adjectives to describe what we had seen. What brilliant words everybody.